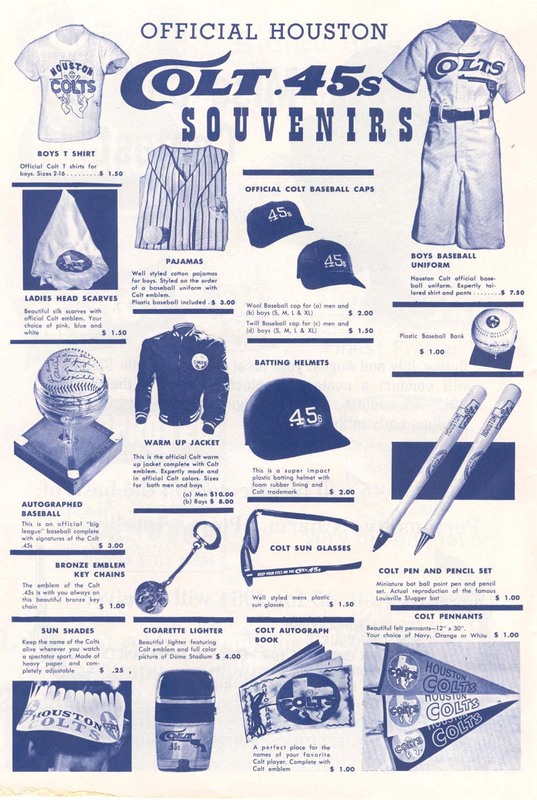 Besides collecting helmets, I also always keep an eye out for older advertisements so that I can show how the kids used to buy the helmets (if not from a ballpark) and to give an idea of how much the helmets actually costed. The picture below is a great example of how kids used to get their helmets in the 1960's. 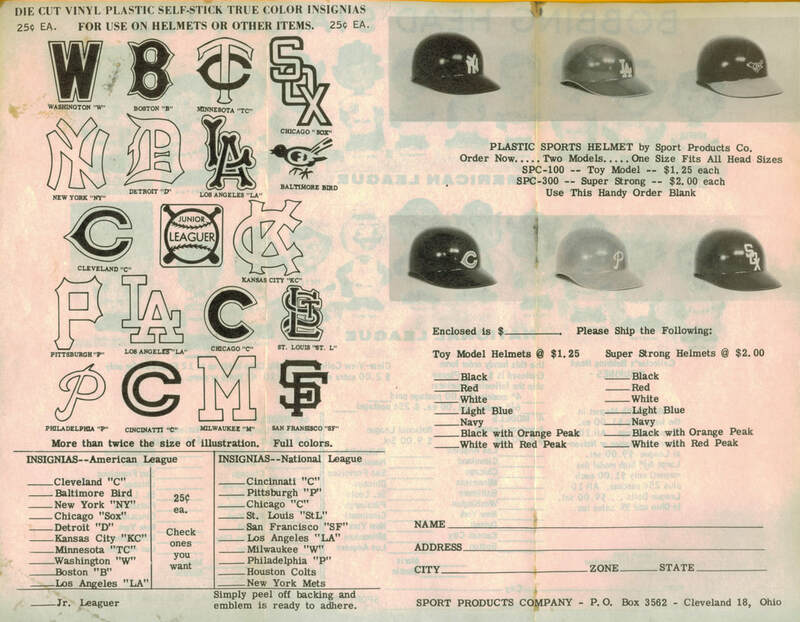 The paper is dated 1961 and I found this still in the package of a helmet from the 1960's not so long ago. You can see that you bought the sticker separate and then decided on which helmet you wanted. One type of helmet was just a toy model and the other helmet was considered super strong helmets. If you own a super strong helmet you can easily tell the difference. ​The page below is the backside of the above page. 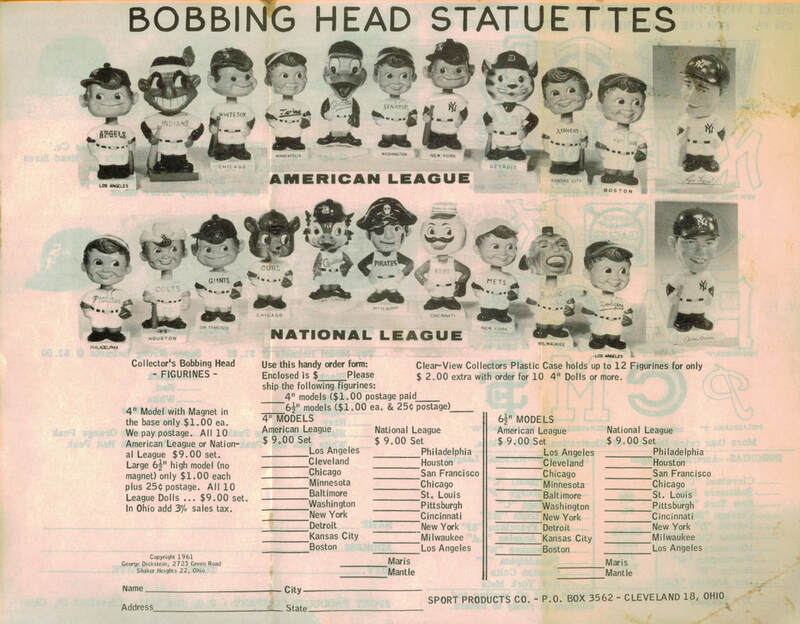 It just shows the different bobble heads you could by back then. I stumbled across this on the web the other day. Check this ad out from 1963. Colt .45's helmet dead center! I found this ad inside a Dodgers 1983 Scorecard Magazine. Here is another neat ad from 1971 that a fellow collector sent to me a while back. Thanks, Kevin!